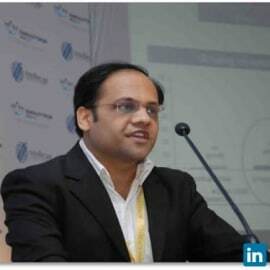 Anurag is a partner at Aavishkaar, one of the leading Impact focussed Investment funds in India. He has been part of founding team of the group company Intellecap and last served as its CEO. In over a decade of his association with Intellecap, Anurag set up and built the Company's Investment Banking Practice with a specific focus on assisting early and growth-stage multiple bottom-line enterprises to raise capital. Anurag has played a key role in incubating I3N (Intellecap Impact Investment Network), India’s first impact focused angel network within Intellecap. He was also one of the key architects of creating the current structure of the Aavishkaar Intellecap Group and led the efforts of the Group in the incubation and acquisition of the 3 NBFCs (IntelleCash, IntelleGrow and Arohan) within the Group. In addition to serving on the Board of Intellecap, Anurag has in the past served as an independent Director on the Board of A Little World and Zero Mass Foundation. He represents Intellecap interest on the board of Group Companies Arohan, IntelleGrow and IntelleCash. Before joining the Aavishkaar Intellecap Group, Anurag worked with the Cash Management Services Division of ICICI Bank.